LAMP and Apps – Are people getting too excited? Again, without getting into details, provider-hosted Apps can be hosted on dedicated application servers or in the cloud (Azure). We want to take a moment to reflect on the provider-hosted Apps on dedicated application servers… Those Apps are stand-alone applications that run completely outside of your SharePoint farm, and SharePoint is completely technology-agnostic as far as these Apps go. This means, Apps can be hosted on application servers running, for instance, using any technology on the LAMP stack (Linux, Apache, MySQL, and PHP). 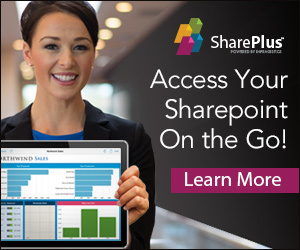 This particular feature was hailed enthusiastically by lots of SharePoint bloggers. We don’t share the sentiment. Although in itself it’s great to have the flexibility to use any flavor of application server you like, in reality we’ve found that this type of platform independence is almost never an issue (Roger Sessions once did some, unscientific, research about it, wrote about it, and found that this is a factor in less than 1% of the IT projects). If you’re an avid Java or PHP developer planning to build Apps, you’ll find that you still have to have intimate knowledge of SharePoint technology and development models. What’s more, developing these types of solutions will be a lot easier using the Microsoft dev tools. We’re convinced that the share of skilled Java and SharePoint developers is pretty limited and we’re betting it’ll stay that way for times to come. In addition, some SharePoint bloggers have even predicted the end of the era of SharePoint developers, since now every ASP.NET developer will be able to create Apps as well. We think this is nothing more than a wrong conclusion, for exactly the same reasons. 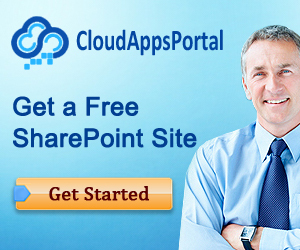 If you want to develop SharePoint solutions in the form of Apps, you need the knowledge about the platform. You simply can’t do that while you’re avoiding becoming a “SharePoint” developer. Well, I thought the same thing after I read the first time about SharePoint Apps as Apps based on the LAMP stack or any other Technology. It is the same thing as with every other Technology. If you don’t know the layers beneath you you will have a lot harder time to complete something. Totally agree. A good example is SQL Server. If a developer doesn’t know much about database, it’s impossible to write high quality code to utilize SQL Server features.